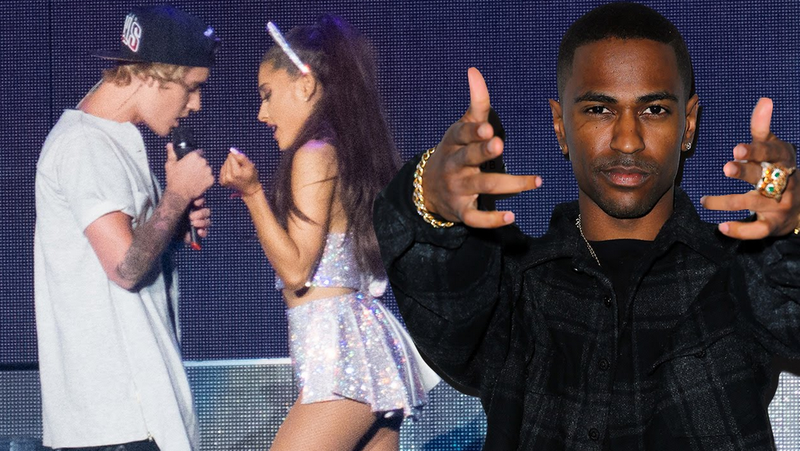 Big Sean believes Ariana Grande used Justin Bieber to make his jealous. Ariana Grande lashed out at Big Sean almost immediately after their breakup by staging Justin Bieber's come-from-behind stage embrace ... so claim sources close to the couple. Sources closely connected with them tell TMZ ... Sean claims it was him who broke off the relationship because she was "immature." Sources say the downfall of their relationship started in February, when he made the most important appearance of his career at the House of Blues in West Hollywood. Everyone showed -- Kanye, Bieber, JLo, Chris Brown, Jay Z, A$AP Rocky, Tyga, Kylie and Kendall -- everyone EXCEPT ARIANA. We're told she needed to get ready for the Grammy's the next day, which he found extremely selfish. Sean also traveled to see her "10 times more" than she went to see him. He claimed once she demanded that he blow tens of thousands of dollars to take a private jet to see her. Sean, who grew up poor, felt she was a spendthrift ... a sign of immaturity. But the crowning blow was just after the breakup. They were still talking and the door was slightly open for a reconciliation, when Bieber jumped onstage in L.A. and grabbed Ariana from behind. Even though Ariana pushed Biebs away, Sean believes it was all calculated -- NOT by Bieber but Ariana -- to hurt him.